TDP decided to move a no-confidence motion against the government over its refusal to grant special category status to the state, party leaders said. 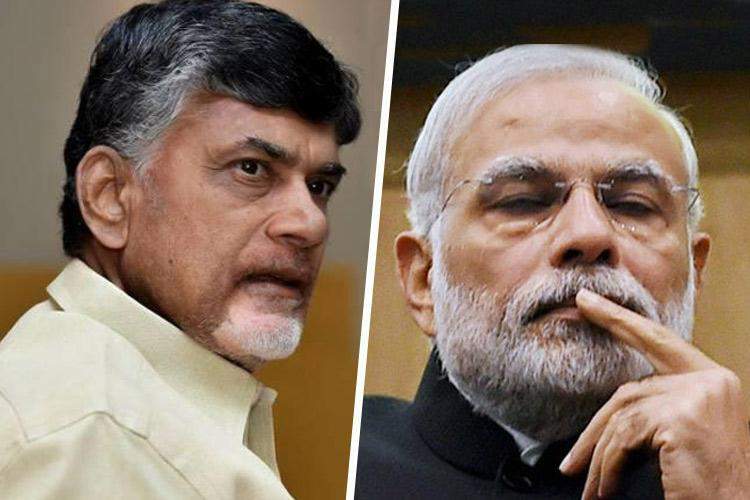 NEW DELHI: Andhra Pradesh's ruling Telugu Desam Party (TDP) on Friday decided to pull out of the BJP-led National Democratic Alliance (NDA) and move a no-confidence motion against the government over its refusal to grant special category status to the state, party leaders said. TDP Rajya Sabha MP Y.S. Chowdary told IANS: "Yes our party (TDP) has pulled out of the alliance with the NDA." Chief Minister and TDP President N. Chandrababu Naidu took these decisions during a teleconference with the politburo mesenior party leaders and MPs on Friday. On March 8, the TDP had pulled its two ministers -- Ashok Gajapathi Raju and Y.S. Chowdary -- out of the Narendra Modi government but had stopped short of walking out of the alliance. Raju held the Civil Aviation Ministry while Chowdary was the Minister of State for Science and Technology. The TDP is the first party to leave the coalition since it came to power at the Centre in 2014. Naidu discussed with party leaders the proposal to move a No-Confidence Motion against Narendra Modi government. He had said on Thursday that the TDP is ready to support the Motion of No Confidence moved by any party. However, during the teleconference on Friday, Naidu said that the party should move a motion on its own instead of supporting the one being moved by their rival YSR Congress Party. Naidu directed TDP MP Thota Narasimham to submit a notice to the Lok Sabha Secretariat in this regard, informed sources said. The TDP chief said if the TDP backs the no-confidence motion moved by a party whose leader is facing serious charges this would send a wrong signal to the people. Naidu said his party would seek the support of other parties for the no-confidence motion.